The WE SVD GBB Sniper Rifle is by far the best quality SVD rifle on the market today. 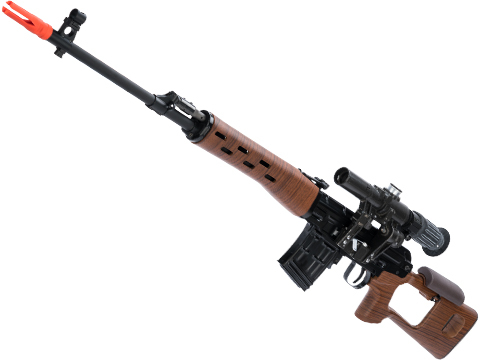 With features like a full metal receiver and barrel assembly, the easily adjustable hop-up, and the pre-installed tightbore inner barrel this is a very formidable weapon on the field. 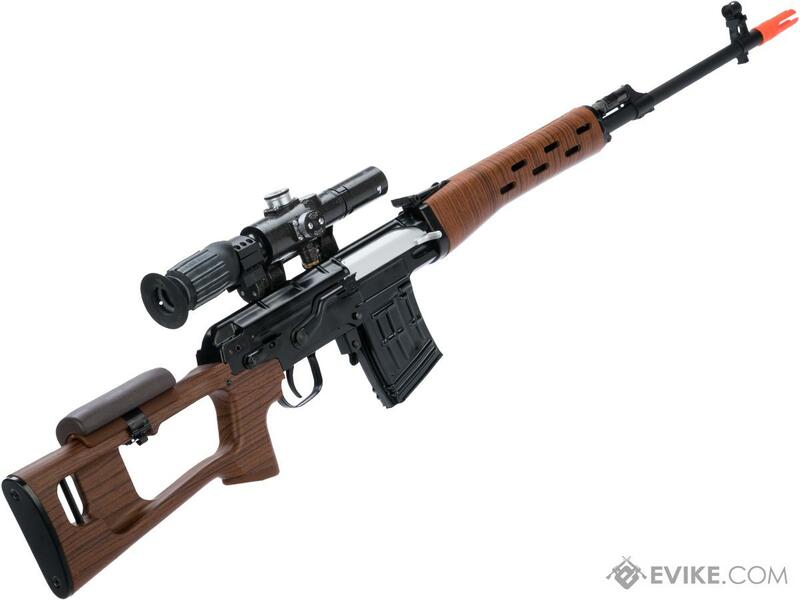 The WE SVD is without question one of the best choices for Airsoft Snipers. 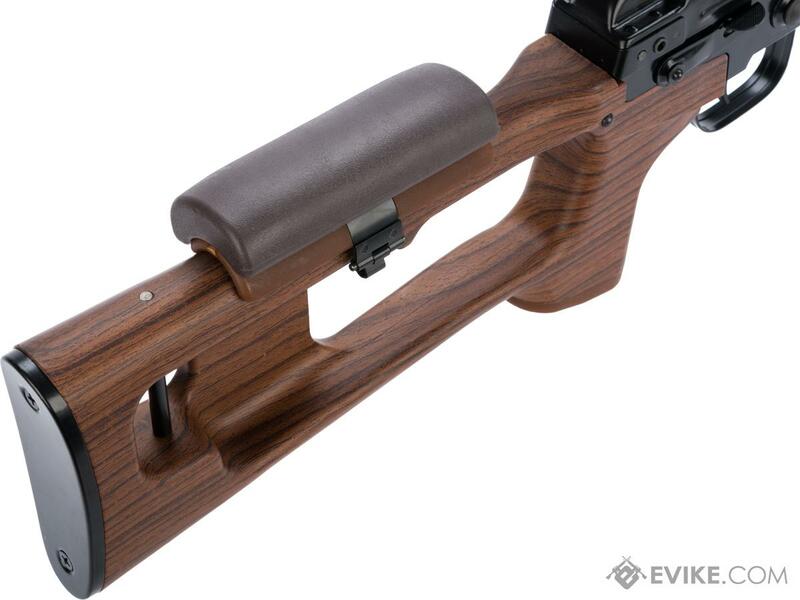 Discuss about WE-Tech SVD Steel Receiver Airsoft Gas Blowback Sniper Rifle (Type: Imitation Wood Stock and Handguards) with your friends and fellow Evike.com shoppers!